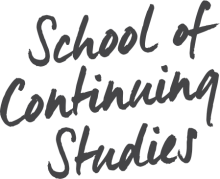 McGill’s School of Continuing Studies offers numerous professional development opportunities in conjunction with the McGill Faculty of Education. Programs are offered by the Department of Integrated Studies in Education and the Office of First Nations and Inuit Education. The 30 credit Certificate in First Nations and Inuit Educational Leadership will focus on the following 5 objectives: (1) developing the core competencies of educational leaders; (2) fostering a self-reflective leader able to partner with parents to create community outreach; (3) cultivating awareness of the holistic learning and developmental cycles of the child and the role of the educational leader in enhancing that development; (4) maintaining the inter-connectedness and continuity of community and cultural values and aspirations within the structure of the administration of the school and other educational milieu; and (5) understanding and supporting the pedagogical objectives and the administrative framework of the educational context and system. This program is offered by the Department of Educational and Counselling Psychology through First Nations and Inuit Education. The Certificate in Inclusive Education is intended for regular class teachers, special educators, adult educators, and other educational personnel. This 30-credit program is designed for Algonquin, Cree, Inuit, Mi'kmaq, and Kanienkehaka (Mohawk) students who wish to gain a deeper understanding of their Indigenous language, especially in its written form. It is aimed mainly at those who will be teaching their Indigenous language. This 30-credit program focuses on developing the particular skills and abilities required of the Indigenous teacher in the middle school of his/her community. Admission to this program has been suspended. This 90-credit program is designed for teachers who are already certified to teach in elementary schools and who wish to earn a Bachelor of Education degree. Normally, a minimum of 60 credits must be taken in the program, and no more than 30 credits may be transferred from other institutions. The Diploma in Human Relations and Family Life Education is designed for people who, though qualified to work in their respective professional domains, may wish to acquire auxiliary skills in basic human communication, group animation, and effective interviewing. This 15-credit Graduate Certificate Program offers professional development for in-service non-Indigenous teachers supporting their growth as more effective teachers in First Nations and Inuit communities. The program addresses subjects of particular interest and need in Indigenous schools, such as cultural socialization, culturally appropriate teaching strategies, second-language teaching, and the history of Indigenous cultures and peoples. An introduction to media that can be easily adapted to elementary classroom studio exploration. Development of Indigenous skills and knowledge in art, music, handicrafts and other areas both modern and traditional. Topics will vary and be chosen from a range identified by instructors and students. Written and oral communication in Education (in English): emphasis on strategies for identifying, analyzing and solving writing and speaking problems. Course work based on academic and professional communication in education, with a particular focus on classroom communication. This course, introducing Aboriginal educators to the principles and processes of curriculum development, emphasizes the impact of language and culture on the development of materials. Features of the process of curriculum and materials design, which are strategically important in meeting the needs of Aboriginal students, are highlighted. Management, effective team leadership, group dynamics, and communications skills crucial to First Nations and Inuit community-based educational leaders. Techniques of developing staff members' potential through staff development and quality performance. The phonological system, including syntax and morphology. Word generation conventions will be analyzed and labels will be developed to describe how the language functions. The morphology and syntax analysis of Naskapi at a more advanced level, including the study of word generation conventions. Importance will be placed on developing reading and writing skills. Methods and techniques for preventing and resolving conflicts in the workplace. Emphasis on culturally relevant strategies. An exploration of Indigenous knowledge and pedagogy, primarily in Canada but also world-wide. Consideration of the diverse social, cultural, linguistic, political, and pedagogical histories of Indigenous communities. Examines how a teacher's professional identity and practice can be influenced by an understanding of Indigenous knowledge and worldviews. An introduction to the study of the phonological system of Mi'gmaw for the purpose of literacy skills development. Explores Mi'gmaw syntax and morphology, word generation conventions, and Mi'gmaw labeling in order to develop understanding of the functioning of the Mi'gmaw language. Students will continue their syntactical and morphological analysis of Mi'gmaw and further develop their reading and writing skills. Features of Mi'gmaw that are difficult for language learners will be highlighted and implications for classroom practice discussed. Students will learn their own phonology and see how the phonological system is reflected in dialects. They will learn the spelling rules and develop their literacy skills in syllabics. Finally, they will derive Cree grammatical terms and begin to study Cree morphology and syntax. Students will study the morphology and syntax analysis of Cree at a more advanced level and begin the study of word generation conventions. In addition, features of Cree that are difficult in first language acquisition will be highlighted and implications for classroom practice discussed. This course introduces students to concepts and strategies for organizing, teaching, and evaluating learning in classes in which there are students from two, three or four grade levels. The content of this course changes depending on the needs and interests of the students and the educational communities participating in programs administered by First Nations and Inuit Education. It always addresses issues related to Aboriginal education, e.g., local control, development of linguistic and cultural policies. Curriculum principles underlying an integrated approach to learning in the middle school level; surveys various curricula looking at program structures; explores teaching and learning methodologies appropriate for this age level when implementing an integrated curriculum, with particular attention to integrating indigenous language and culture. Orientation to the equipment and systems of educational technology. Examination of theories of educational technology, media education and technology education and the exploration and development of possible applications in school settings. Students will learn the Algonquin phonological system. They will focus on animate/inanimate and inflections for agreement, aspect, tense and number. They will analyze word generation conventions and derive Algonquin labels to describe how Algonquin operates. Continues earlier study of the Algonquin language with a focus on complex tenses, complex sentence structures (e.g., conditionals, subordination, embedded structure), and nominalizing verbs and verbalizing nouns. Objective is to develop reading and writing skills. Students will learn the Mohawk phonological system (including glottal stop, length mark, up and down stress). Syntactically and morphologically, they will focus on the pronoun system (tense included). Word generation conventions will be analyzed and Mohawk labels developed to describe how the language functions. Continues earlier study of the predictable items in the Mohawk language and introduces an examination of non-predictable items: irregular verbs, reflexive and semi-reflexive verbs, purposive stem, translocative, etc. Objective is to develop reading and writing skills. Structure and morphology of Inuktitut for teachers working in that language. Use of orthography, both qaliujaaqpait (Roman script) and qaniujaaqpait (syllabics) as established by the Inuit Cultural Association. This course on language and learning across the curriculum will explore the central role of pupils' language, both oral and written, in their learning and the implications for using this learning tool in teaching. It will also consider "languages" (e.g. computers, media, etc.) in teaching and learning. A problem-solving approach (needs assessment, projections, creative solutions, and proposals) will establish a procedure for proactive management of the First Nations and Inuit educational environment (human, financial, and physical resources). Topics include staffing, finance, budgeting, payroll, interviewing techniques, health and safety management, and building and equipment maintenance. A work-study course within a First Nations and Inuit educational milieu. Supervised practice and application of communication and group skills; staff development and evaluation; human, fiscal, and physical resource management; and community outreach. A study of Indigenous language phonology and structure, emphasizing the connection between the two, demonstrating the orderliness of many dialectic differences. The final course in a set dealing with Indigenous phonology and structure. An understanding of basic Indigenous syntax in particular, rules governing verb and possessive endings. Study of the main Eskimo-Aleut dialects from Siberia to Greenland, looking at the effect of Inuit migrations across the Arctic on the development of dialectical differences. The main phonological, grammatical and lexical differences between the dialects and the patterns underlying these differences will be examined. Principles of cooperative learning and how they may be applied in Indigenous schools to the creation of effective classroom activities and to the development of culturally appropriate learning materials. Referring to culturally grounded learning styles, appropriate teaching styles will be examined. Critical pedagogy will be emphasized. An introduction to the educational implications of cultural values and patterns of socialization of youth. Topics will include a description of the cultural values of Indigenous peoples, home styles of communication, learning and discipline and intercultural educational issues.